Presentations and projects will be taken to a whole new level with foam core boards. The smooth, bright white surface has a slightly glossy finish that easily accepts markers, crayons, paints and adhesives. Lightweight and rigid, foam board cuts easily with a knife or razor. Perfect for mounting photographs and artwork, 3-D modeling, signage, poster making and more! 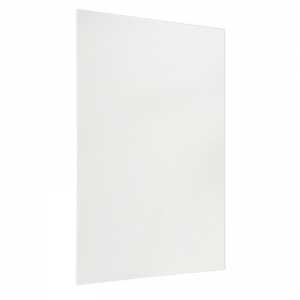 Boards measure 20" x 30" with 3/16" (5mm) thick, dense white polystyrene foam core and white on back of sheet. Presentations and projects will be taken to a whole new level with foam core boards. 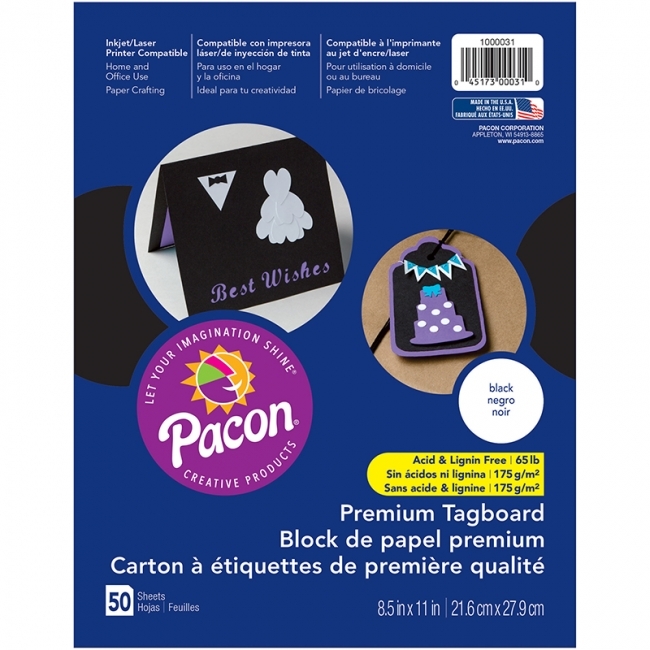 The smooth, bold black surface has a matte finish that easily accepts markers, crayons, paints and adhesives. Lightweight and rigid, foam board cuts easily with a knife or razor. 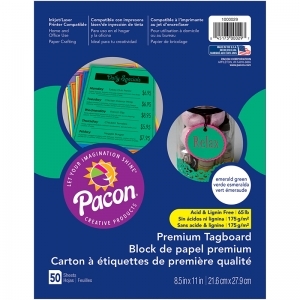 Perfect for mounting photographs and artwork, 3-D modeling, signage, poster making and more! 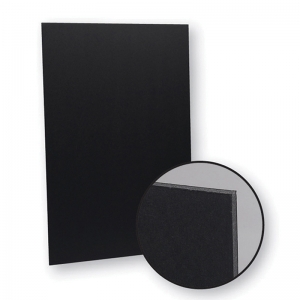 Boards measure 20" x 30" with 3/16" (5mm) thick, dense deep grey polystyrene foam core and black on back of sheet. Presentations and projects will be taken to a whole new level with foam core boards. The smooth, bright color surface has a slightly glossy finish that easily accepts markers, crayons, paints and adhesives. Lightweight and rigid, foam board cuts easily with a knife or razor. 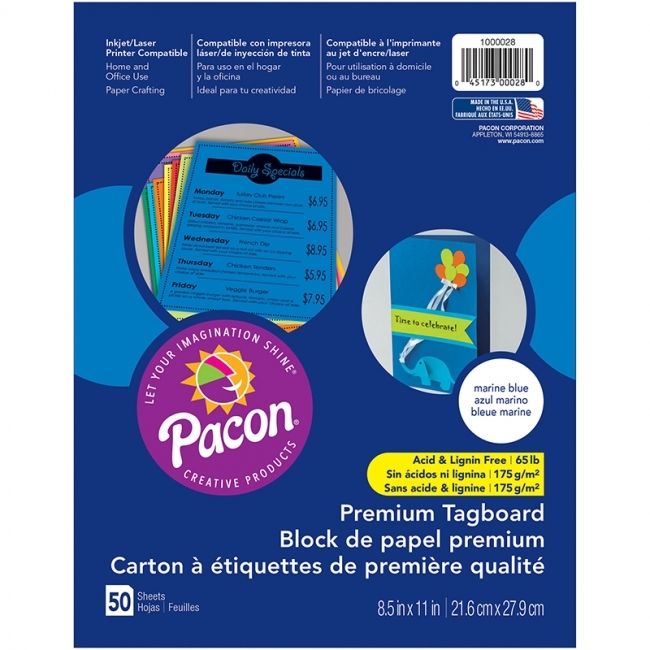 Perfect for mounting photographs and artwork, 3-D modeling, signage, poster making and more! 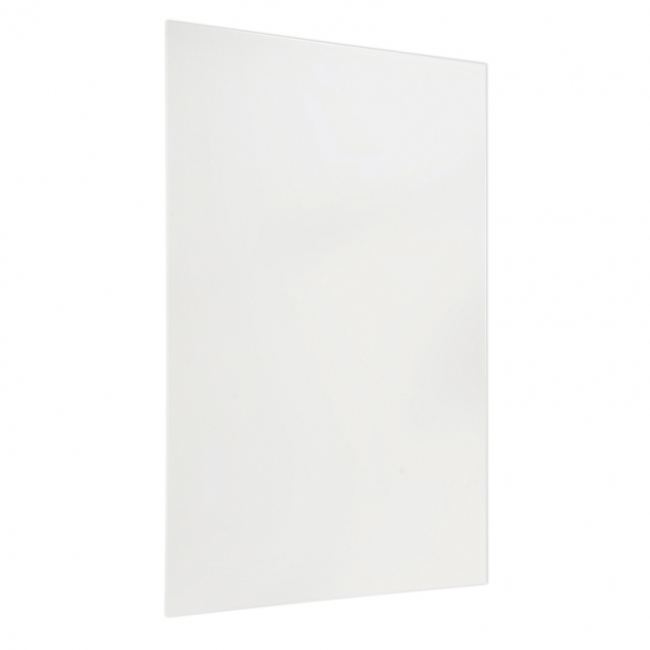 Boards measure 20" x 30" with 3/16" (5mm) thick, dense white polystyrene foam core and white on back of sheet. 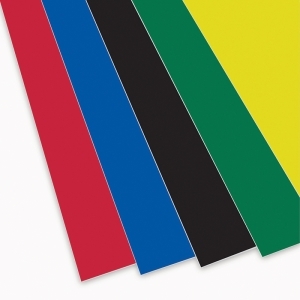 Assortment contains 2 sheets each red, blue, black, green and yellow. 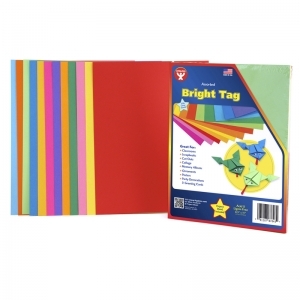 Bright paper tag boards are the heavy card stock version of that lovable crafting favorite bright colored paper. 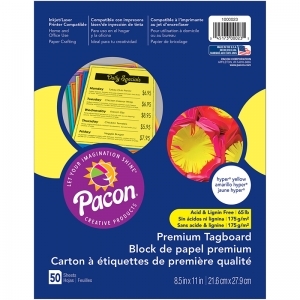 Using Hygloss' outstanding quality bright paper yields projects that will stand the test of time. 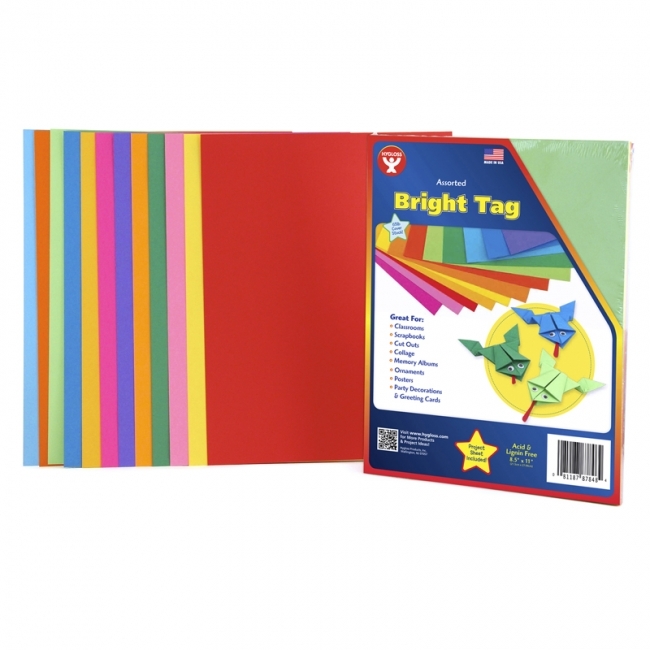 This light weight tag can be cut with scissors cleanly by small children, also holds its folds and laminates fabulously. Great for paper sculpture. Colors include Electric Lime, Cantaloupe, Raspberry, Daisy Yellow, Blue, Orange, Violet, Crayon Green, Butterscotch, Apple Red, Shamrock, and White. 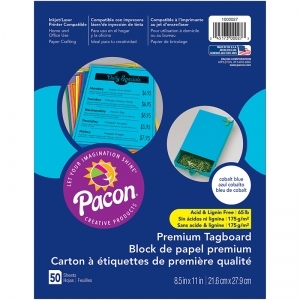 Sheets measure 8.5" x 11". Each pack includes 48 sheets. This strong 65 lb. paper is great for art projects, crafts, creating greeting cards, invitations, recipe cards and much more. This paper is Inkjet and Laser Printer compatible. Acid Free and Recyclable. Bright vivid color and 50 sheets per pack.